Siamak Namazi is head of strategic planning at the Crescent Petroleum Company, based in Dubai. The Wall Street Journal writes that Namazi was arrested by the Revolutionary Guard Corps, which reports directly to Supreme Leader Ayatollah Ali Khamenei rather than the government of Iran. Namazi's detention came just days after the Iranian nuclear deal took effect on October 18, the so-called adoption day. 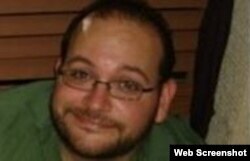 They include Washington Post correspondent Jason Rezaian, who was recently convicted after an espionage trial; former Marine Amir Hekmati, who was accused of being a spy when he went to Iran to visit his grandmother, and Saeed Abedini, a pastor, who was convicted in 2013 of threatening Iran's security by holding religious gatherings in private homes in Iran. All three deny the charges against them. Namazi's family declined to comment about his arrest.